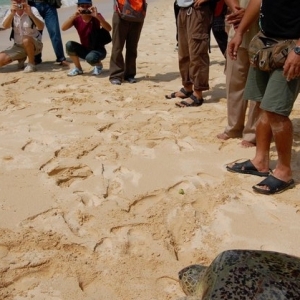 Adult female turtles return to the beach where they were born to lay their eggs, often travelling thousands of kilometres. Whilst four species of marine turtles are known to nest in Sarawak, the Green Turtle accounts for 90% of the turtle landings recorded. 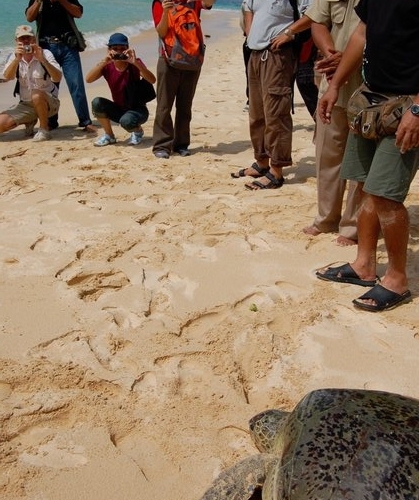 The park’s Turtle Islands account for 95% of all recorded turtle landings in Sarawak, a clear indicator of the importance of Talang-Satang for marine turtle conservation. Marine turtles face a number of threats including entanglement in fishing nets, habitat destruction, water pollution, collection of eggs, boat strikes, predation of eggs and hatchlings by birds, monitor lizards, civet cats and other wild and domestic animals, poaching for meat or shells, and ingestion of marine debris such as plastic bags. Owing to these threats the state government carries out turtle conservation programmes in the park. This conservation work dates back to the 1940’s when the Sarawak Museum embarked on a long-term research project. Thanks to the Museum’s pioneering work, records of landings date back to 1946. 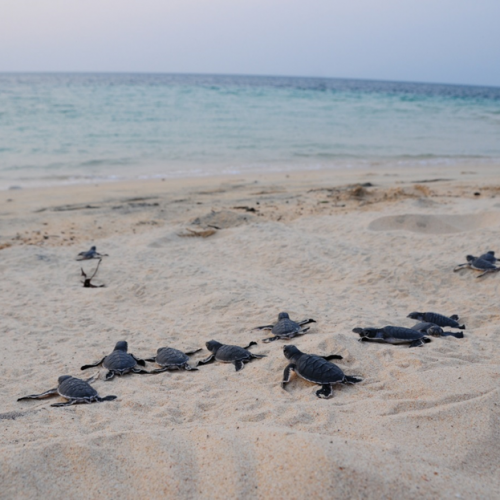 Large scale turtle conservation work began in 1951 when over 20,000 eggs where collected and transferred to a natural beach hatchery. 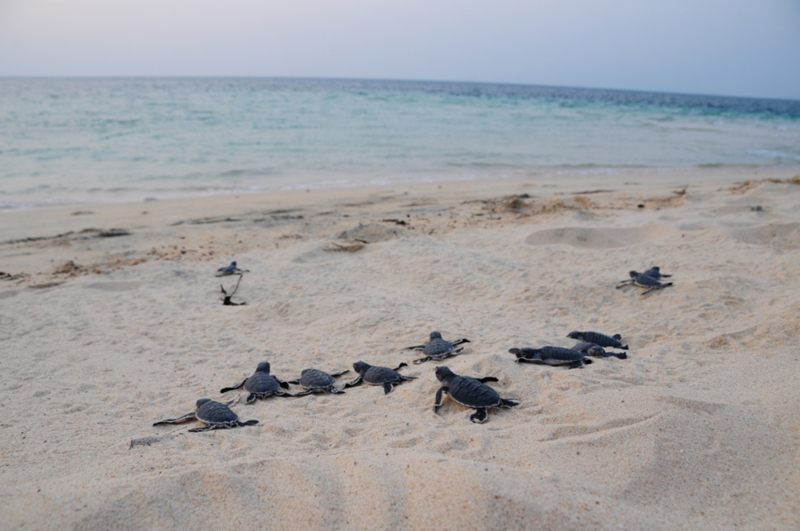 In 1953 the first tagging of Green turtles was done. Today, Sarawak Forestry manages the national park and has set up a number of hatcheries. 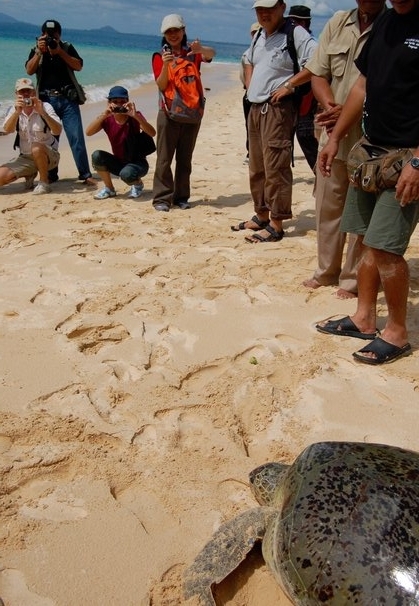 During the peak turtle nesting season (May – September), park wardens monitor the beaches for turtle landings, remove eggs from the nests and place them in the hatcheries. After 40 to 60 days incubation, the young hatchlings are released and scamper across the beach to the sea. 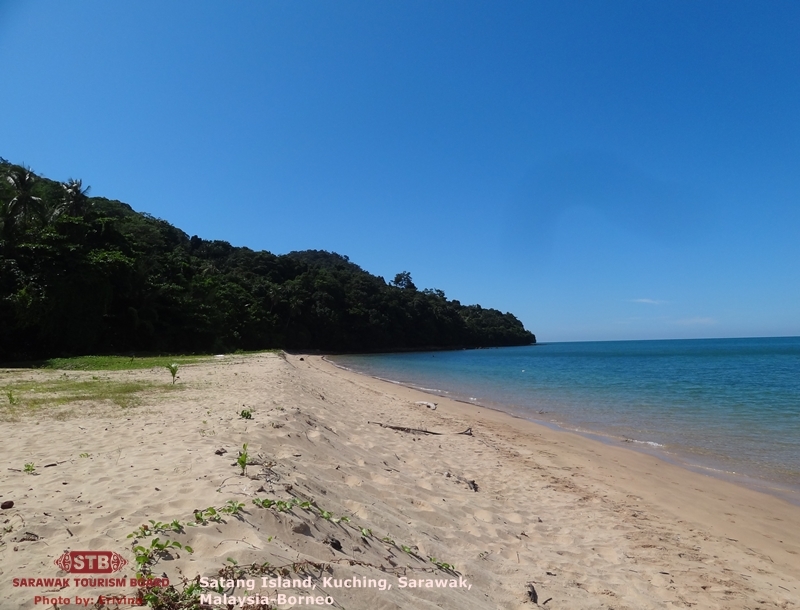 The Talang-Satang National Park also includes the Pulau Tukong Ara-Banun Wildlife Sanctuary, two small islets located close to the Satang Islands. Pulau Tokong Ara, the larger of the two rocky outcrops, is home to breeding colonies of bridled terns and black-naped terns. Black coloured pacific reef egrets are also frequently sighted on the rock. 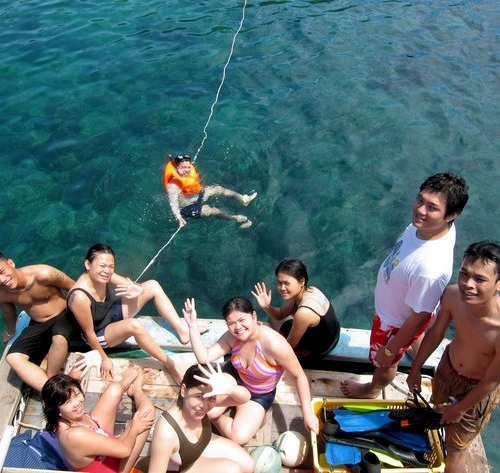 Tokong Ara is best seen as part of a wider coastal tour of the Santubong area. Pulau Satang Besar is a 30-minute boat ride from Damai Beach, Sarawak Boat Club Jetty or Telaga Air Jetty. There is no regular boat service and visitors should travel in an organised tour. 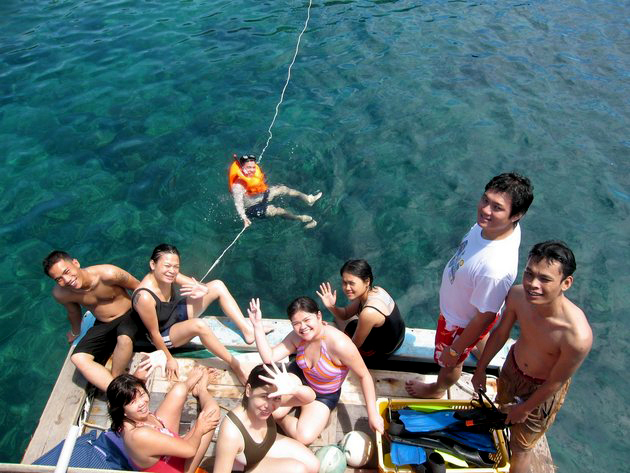 A number of Kuching-based tour operators run day trips to the island, often in conjunction with other marine-based activities such as dolphin watching or mangrove cruises. 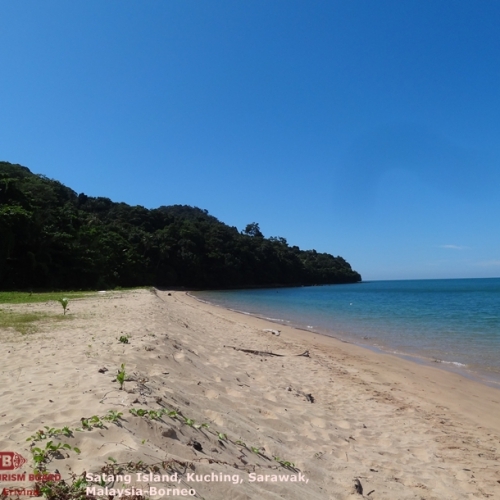 All other areas of Talang-Satang National Park are off limits to visitors except by special arrangement, in which case transport will be organised by Sarawak Forestry.